The Naples community of Lake Park is a mature Southwest Florida community, lush with banyans and palms and affordable homes close to the beach, schools, and all the necessities of life. It is a great place to raise a family. Lake Park is an inland community of just over 1,000 residents and about 450 single-family homes of varying styles and sizes. About 60 homes have lakefront views. Baseball, football, and soccer fields, handball, and tennis courts, and state-of-the-art skateboard facility are in Fleischmann Park in the northeast corner of the community. The homes of Lake Park are quaint and well-maintained. 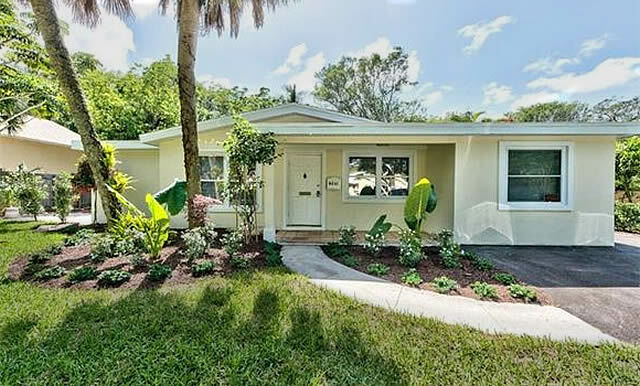 Not large for the most part, these Florida bungalows generally range in size from 1500 square feet to about 2000 square feet. Some have pools but most don't. Because the value of the land in this great location is so high, many homes that have acquired the need for renovation get razed so a new home can be built in its place. Homes in Lake Park bring a premium price because of their prime location. Perhaps $300 per foot may seem extreme for a home built in the fifties but market demand has established the price. If "location, location, location" is to be a valid expression of real estate investors, Lake Park is good evidence of it. Area Vibes has rated Lake Park as “Exceptionally Livable” on its website. It is ranked ninth among Naples’ communities and 138th in the state of Florida. The average age in Lake Park is 46.8 years, which is significantly lower that the Naples average of 64.0. Not surprisingly then, about 44% of the households include children under 18 years-of-age, compare to the overall Naples demographic of 19%, indicating that half of this is a community are young families. Lake Park also received an A+ rating from Area Vibes for its amenities. For example, there are 16 grocery stores within a mile of the community. There are also the same number of public parks within the same distance. Because of the proximity to US 41, many amenities, including restaurants, entertainment, and educational facilities easy to access. Naples High School is just about as convenient to Lake Park residents as the elementary school. Lake Park Elementary School’s neighbor to the north, the Coastland Center, is Naples High School’s neighbor to the south. The Golden Eagles have earned 11 state championships in five different sports since 2001. The school is noted for its architectural and pre-engineering programs in which students gain hands-on experience in advanced studies such as Computer Integrated Manufacturing, Principles of Engineering, and Digital Electronics. The school has graduated four NFL players, one Super Bowl winner, and an Olympic medalist. Approximately 1,700 students attend Naples High where the saying goes that there are only two kinds of people in the world: Those who are Golden Eagles and those who want to be. The school has been “A” rated since 2013. Middle school students attend Gulfview, which is located on 6th Street South across US 41. Gulfview has received an “A” rating for 14 consecutive years. Lake Park Elementary School and St. John’s Episcopal Church are south of Fleischmann Park. The Blue and Gold Panthers are proud to have been named an “A” school. Lake Park has an enrollment of 520. Many students walk the short distance to school. The shops of Fifth Avenue are less than a mile south on US 41, which also means that the picturesque Third Street Shops and the rustic Tin City are with that same distance. Lake Park is comfortably close to downtown and the beaches of the Gulf of Mexico. The farthest any resident of Lake Park has to travel to the beaches is less than a mile-and-a-half. Loudermilk Park, with public beach access and plenty of parking, is only two-thirds of a mile west via Banyan Boulevard from the intersection of US 41. Banyan Boulevard becomes 12th Avenue North on the east side of US 41, which is approximately the north-south mid-point of Lake Park.